Synopsis: The novel begins with an assassination attempt. On a freezing winter’s night Jack Hodges, a little-known U.S. presidential candidate, speaks at a sparsely-attended town hall meeting in Iowa. It is a few weeks before the Iowa caucus, the first contest in the nomination process to be a candidate for President. Hodges is a charismatic former general with a dedicated team of believers including campaign staffer Mike Sweeney. But the campaign is a disaster. Ignored by the media, his candidacy barely registers in polls. Everyone assumes the established frontrunner, Virginia Governor Harriet Stanton, will easily win. But that single night in Iowa transforms the race. A female assassin waits for Hodges to take the stage. As he speaks a shot rings out. She misses but the incident propels Hodges – who heroically shield his wife from the gunfire- on to the front pages. Yet no one knows the identity of the shooter. Police arrest a mysterious dark-haired woman but she refuses to say a single word. Her name, age, even her nationality, is a mystery. Finally people pay attention to the Hodges campaign. Guided by his outspoken and outrageous campaign manager, Dee Babineaux, Hodges becomes a passionate, outsider rebel candidate pitted against Stanton, the lifetime career politician. Crowds now flock to his rallies inspired by his powerful message of hope and change. 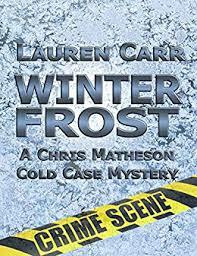 But as Hodges’ campaign climbs in the polls, Babineaux realises it is vital to discover the identity of the mysterious woman who tried to kill him. She gives the task to Mike Sweeney, a true believer in Hodges’ cause. He must find out the woman’s name and history before anyone from Stanton’s campaign or the media does. As Sweeney uncovers more and more information, Hodges’ campaign, guided by the ruthless genius of Babineaux, goes from strength to strength. By the time Sweeney finds out the true identity of the would-be assassin, he faces a choice that could effectively determine who could be the next President of America. My Review: The Candidate blew me away from the start. Using an election as the backdrop provided a compelling and immediate draw for me. As The Candidate unfolds, it becomes clear that all the "sleezy" things we hear about campaigns are about to come true in this story. I was pulled into the story and couldn't get enough of the campaign manager that wants to bury the dirt, to the "all-too clean" candidate's wife that will do anything to keep the campaign going. 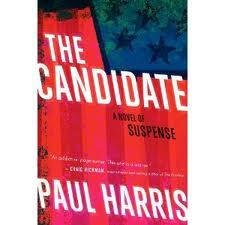 The Candidate is book is fast paced and a very quick read. The chapters are on the short side, with breaks throughout - just the kind I like! The Candidate will keep you in suspenses all the way to the end. I recommend it, 100%! 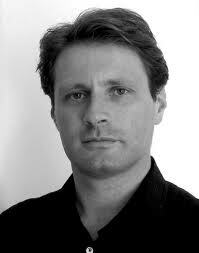 Meet the Author: PAUL HARRIS is a US Correspondent for the British newspapers The Observer and The Guardian. He lives in New York and writes about all aspects of American political and cultural life. The 2012 race is the third US presidential election he has covered, including 2008’s epic primary battle between Barack Obama and Hillary Clinton. Prior to being posted in the US, Harris was a journalist in Britain and Africa. He has covered conflicts in Iraq, Pakistan, Sudan, Somalia, Burundi and South Africa. His experiences covering the civil war in Sierra Leone formed the inspiration for his first novel, THE SECRET KEEPER. He is glad to have swapped writing about war zones for the equally exotic but slightly less life-threatening world of American politics. You can connect with Paul Harris on his website and twitter. You can purchase The Candidate on-line at Amazon for $14.95. 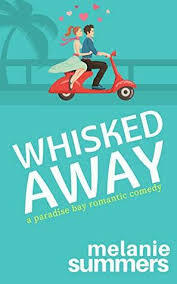 Giveaway: I am so happy to let you all know the publisher has authorized me to host a giveaway. One lucky winner will receive their own copy of The Candidate! Complete the form below. Monday, September 10th: Peppermint Ph.D.
Northern California - it's so beautiful! I love it when a book grabs me from the start! Thanks for being on the tour. I'd rather visit northern (lowercase "n" :-)) C.A. because I've only been there once, and that was only San Francisco. I used to live in San Diego and have been to L.A. enough to know it's dirty and not all it's cracked up to be. Amazon September Deal - 5 Star, Must Read! 2015/2016 Challenge Taken from Several Bloggers! A funny book. Who Moved My Blackberry? A book with a nonhuman character(s). You Lucky Dog!